The Legend of Zelda is the first title in Nintendo's popular Zelda video game franchise. It has a long history of cheats and codes, plus includes a few Easter Eggs for players to find. Today, it's available on Nintendo Switch. Sometimes abbreviated as LoZ by fans, The Legend of Zelda is one of the most-iconic fantasy action-adventure video games ever made and is often credited with inspiring many of the fantasy titles that have launched since. 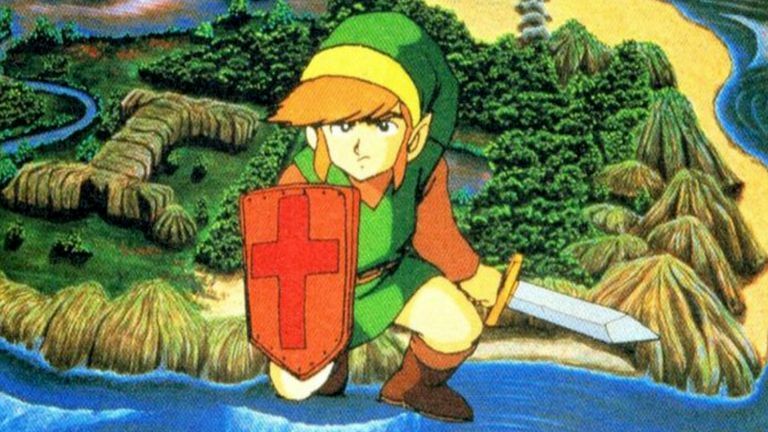 LoZ first launched in 1986 on the Family Computer Disk System in Japan and came to the United States a year later where it debuted on the Nintendo Entertainment System console. Due to its popularity, The Legend of Zelda is frequently re-released by Nintendo on the company's video game consoles being made available on the GameCube, Game Boy Advance, Nintendo Wii, Nintendo 3DS, and the Nintendo Switch. Unlike most video games on the Nintendo Switch console, the original The Legend of Zelda video game is not available for digital purchase in the Nintendo eShop or physically in stores. Instead, The Legend of Zelda is only available to play for members of the paid Nintendo Switch Online subscription service. This service gives subscribers the ability to play video games online, voice chat with their friends, backup their save files to the cloud, and grants access to a growing library of classic Nintendo Entertainment System (NES) video games including The Legend of Zelda. Nintendo Switch Online offers a free trial period for new users. This trial period unlocks all member benefits including access to the NES video games. This means you can play The Legend of Zelda for free. At least for a short while. In late 2018, Nintendo released an alternate version of The Legend of Zelda video game on the Nintendo Switch console named The Legend of Zelda SP. This special version of the classic game features all of the content from the original but immediately unlocks almost every major item and weapon that would otherwise have to be located, obtained, or bought over hours of gameplay. The Legend of Zelda SP is called The Legend of Zelda - Living the life of luxury! in some regions. Among the items and weapons unlocked from the start of The Legend of Zelda SP are the White Sword, the Magical Shield, the Power Bracelet, the Blue Candle, and the Blue Ring. The player also begins the game with nine magical keys, six hearts in the life gauge instead of the traditional three, and 255 rupees which can be used to buy additional items like potions. The SP in The Legend of Zelda SP stands for special. It's a common abbreviation in Japan for the English word which is also used in Japan. The Legend of Zelda SP is essentially an official release of a hacked version of The Legend of Zelda that's designed to make the game easier and faster to play. Both the original and SP versions of The Legend of Zelda are available to play on the Nintendo Switch for free as part of the Nintendo Switch Online paid subscription service. Like the original version, The Legend of Zelda SP also supports save points, referred to officially by Nintendo as Suspend Points, which allow players to save their progress at any point in the game and continue at a later time. The best The Legend of Zelda cheat is arguably just playing The Legend of Zelda SP on the Nintendo Switch. It requires zero hacks or codes and is ready to go as soon as it's opened. Upon completion of the main game, players are given the option to replay The Legend of Zelda a second time. While a lot of the game design appears the same, this second playthrough features harder villains and moves all of the game's dungeons to new locations. This new mode is referred to as Second Quest. Once the Second Quest is completed, playing The Legend of Zelda a third time simply restarts the Second Quest once again. There is no Third Quest. Many Zelda video games feature post-game modes similar to Second Quest that contain slightly altered content and harder enemies. Depending on the game, the mode may be referred to as Hero Mode, Master Mode, or Master Quest. Other franchises such as Super Mario Bros also contain more-difficult post-game modes. The Second Quest mode is playable in both the classic version of The Legend of Zelda on the Nintendo Switch and the The Legend of Zelda SP version. The Legend of Zelda doesn't have a native code system but it does allow players to enter their own custom name when beginning a new game. While any name can be entered into this field, as long as it contains no more than eight characters that is, only one has been discovered that unlocks anything special within the game. ZELDA Entering this code will unlock the Second Quest game mode without having to complete the main game first. In previous releases of The Legend of Zelda, it was possible to bring up a secret save screen by pressing Up and A on a second controller. This allowed players to save their progress at any time during gameplay and also allowed for some cheats involving health restoration and keeping your bait from the Goriya character. This secret save screen has been removed from the Nintendo Switch version of the game as it incorporates a native Suspend Point save system instead. Red Gohma can be a frustrating enemy to defeat but she can actually be taken down surprisingly quickly by firing an arrow at her the second the screen loads. This is possible because her character animation begins with her eye open and she loads the same time as all of the other screen assets do. While playing The Legend of Zelda, if you defeat all of the enemies on a screen and then return to that screen later on, all of the enemies can respawn and you'll have to fight your way through them again. This can be prevented by leaving one enemy alive on each screen as the others will only respawn if all of them are defeated. Conversely, the enemy respawn mechanic can be exploited to farm rupees by killing all of the enemies on a screen, walking to the next screen, and then immediately returning to kill them all again. Being hit by a blue bubble is frustrating as it can prevent you from attacking with your sword. A way to counter the effects of the bubbles though is to use the flute as soon as you're hit. At the beginning of Level 1 of the First Quest, you should see a locked door. To unlock it, simply exit the level and then re-enter. The door will now be open. In The Legend of Zelda, Heart Containers act as a health bar and the more you have, the bigger your health bar becomes and the more damage you can take from enemies. Players are given a health bar of three Heart Containers when starting a new game. Eight additional Heart Containers can be obtained by defeating bosses and five others can be found throughout game world. If playing The Legend of Zelda SP, you will automatically be given these five hidden Heart Containers when you start your game and they will not be discoverable in-game. From the first screen of the game, go four screens to the right and place a bomb on the wall to the left of the top exit. From the start, go right for four screens, up five screens, and right one more. Place a bomb on the right side of the mountain. From the first screen, head right once, up three times, and left once and then use the Blue Candle to burn the bush fifth from the right side of the screen. A staircase will be revealed which will lead you to the Heart Container. From the start, go eight screens to the right, four screens up, and then use the Raft item to set sail on the ocean and go up one screen more. From the first screen, head right eight times and go up two. Use the Stepladder item to get to the Heart Container. The location of the first three Container Hearts change when playing the special Second Quest mode. The fourth and fifth locations are identical to the first playthrough. From the start, head up one screen, go left for five screens, head up one more screen and on that same screen go down on the left side exit. From the next screen, head left once and then go four screens up. Use the Power Bracelet to move the headstone in the second column on the second row. From the first screen, go four screens to the right, up for four, and left once. Use the Recorder to make a hidden staircase appear. From the start, go right once, up five times, left once, up twice, and right once and use the Recorder once again to make another staircase appear.